TNT is still dealing with the aftermath of June’s NotPetya cyber attack. The ransomware hampered its operations and it may cost the company £34 billion. A month after the NotPetya ransomware attack hit organizations, businesses and government entities worldwide, TNT has admitted it is still dealing with the aftermath. TNT depots are full of parcels as the firm processes international consignments manually, leading to frustrated clients who want their goods delivered as soon as possible. In June, the NotPetya cyber attack affected systems in more than 60 countries around the globe. FedEx-owned TNT was among the many companies to fall victim to the attack. In fact, the malware seems to have affected TNT more than other companies. For example, the attack rendered the company’s ‘myTNT’ portal non-operational, in addition to disrupting its communication systems and delaying deliveries. To proceed with its operations, TNT had to adopt drastic contingency measures so that it could still serve its clients—even if it does so slowly. A week after the attack hit the company’s IT systems globally, the company’s spokesperson said TNT was implementing contingency plans and that it was making progress in adapting to these abrupt interruptions to its normal operations. However, it seems as though they are still feeling the impact of the ransomware attack. In a statement released earlier this month, FedEx confirmed that an attack had compromised TNT systems in Ukraine. Shortly afterward, this attack spread throughout the systems’ network. The statement added that although the company’s hubs and depots continued to operate normally, most of their transactions were still manual, which resulted in delays. FedEx confirmed that they are not sure how long it will take to restore TNT systems. Moreover, the company added that recovering all the critical business data encrypted by the ransomware would be daunting. The Guardian reports that weeks after the attack, clients are receiving bits of information from TNT staff who say their parcels are “going up to the ceiling” in the East Midlands hub. This accumulation is because of TNT’s increasing dependency on its manual processing system. According to one customer, the company will process thousands of parcels in this way. This kind of work is overwhelming for the company’s staff. Consequently, customers have no clue when they will receive their parcels. A spokesperson said there were no further updates on the issue. Instead, people had to rely on a brief statement the company released last week for information on what is happening at TNT. Sadly, the company’s phone lines were not going through after the statement was made, angering many of its customers. FedEx, which bought TNT in 2015, stated that it did not have an adequate policy to cover a ransomware attack like NotPetya. The parent company also said it’s trying to figure out how much data was lost and, although it cannot quantify the exact amount, the loss of revenue is huge considering the decreased volumes flowing through TNT. FedEx directed huge sums of cash towards implementing contingency plans to deal with the attack. According to a report by Lloyd’s of London, the attack could cost the global economy a huge amount of money, as much as £40 billion. 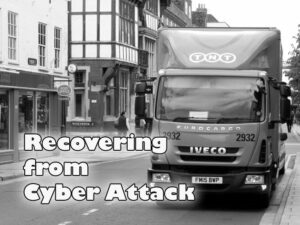 Unfortunately, since FedEx did not have an adequate insurance policy for this kind of attack, it may not recover the £34 billion lost as a result. Another report from Germany’s federal cyber agency stated that the NotPetya cyber attack could affect data backed up since April. A statement by the Federal Office for Information Systems said that security experts had discovered that the launch of the attack occurred through MeDoc accounting software updates in April. 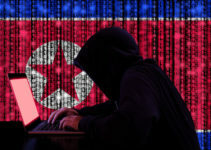 Consequently, if a company did not experience the attack, there is a high possibility that it still experienced a breach as long as it’s using the same software as TNT was using. In Germany, some firms have experienced a halt in production and other critical processes resulting in losses that total in the millions of euros. Earlier, Ukrainian authorities seized servers from the software firm that created MeDoc. However, the firm disputed the possibility that NotPetya could have originated from its software. The company’s managing partner said the software had been checked before it was released, and it did not show any signs of hosting a virus. To avoid further attacks by the ransomware, firms should consider separating the network that carries this software from other networks. It’s also wise to update all the passwords of the affected networks, and to keep the software updated. 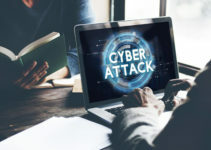 Firms should also consider insuring their network systems to make sure they avoid suffering from huge losses if another malware attack were to hit their systems again.